"Turkcell's tango project emphasises that blind and deaf people have no boundaries. Harun is blind, Ayşenur is deaf. An ambitious tango teaches them how to dance. They cope with every problem and at the end they perform a great show on the night of International Day of Disabled Persons. It was the first time in the world that deaf and blind people have come together to tango. 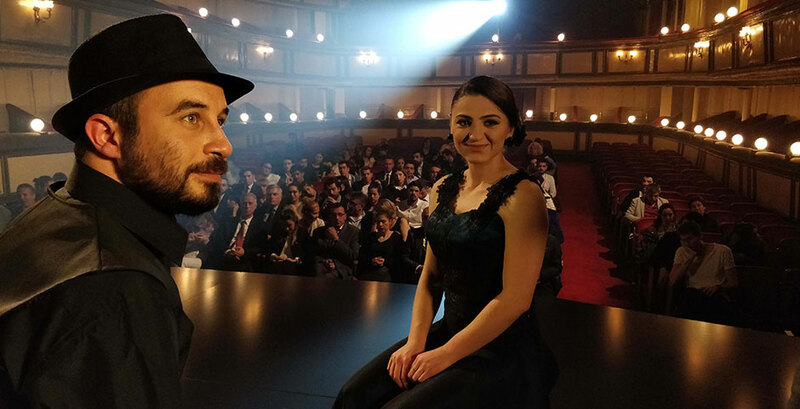 Inspired from this great show, Turkcell recorded every single tango lesson verbally and visually. We have added these trainings to our Hayal Ortağım (My Dream Partner) and the İşaret Dilim (My Sign Language) mobile application so that any blind and deaf person who downloads the application can practice our tango choreography." "As Turkcell, we wanted to raise awareness that people with disabilities have no boundaries and with a little help they can achieve anything they want. And as we were aware that Turkcell has blind & deaf co-workers at My Sign Language Museum who are interested in doing tango, we reached them and made this project possible. We got inspired by their will to tango as perfect as anybody." "We definitely nailed it and perfectly integrated the whole tango project to our applications and made it possible to learn tango for anyone around Turkey. Blind or deaf, we eliminated any kind of communication breakdowns between people and made dance the perfect language." "As Turkcell is highly active with more than 3 million followers, social media was the perfect choice for us to spread our message all around the country. And having a project that has great sharing potential, we chose to create a communication link through social media. TV and newspapers were also interested and spread our message by sharing our project." "The best part of the project was to see our tango team to present a magical tango show on the night of The International Day of Disabled Persons. It was also great to witness that blind and deaf people can come together and feel the rhythm at the same time." "We learned that if you want something and if you are passionate about what you want to achieve, there are no boundaries. You can do anything." We wanted to raise awareness that people with disabilities have no boundaries and with a little help they can achieve anything they want.